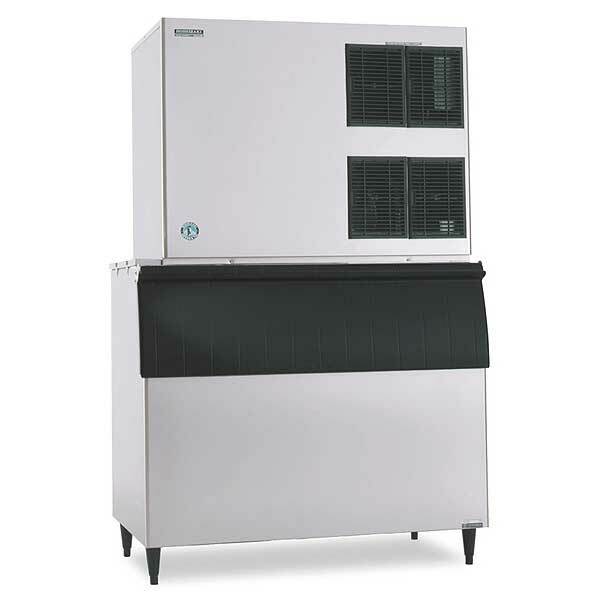 The Hoshizaki KM-1900 Ice Machines produces up to 1875 pounds of ice production every 24 hours. Stainless steel evaporator. Stackable for 3930 lbs per 24 hour ice production. Removable air filters. 48"W x 27-3/8"D x 36-7/16"H. Use B-800, B-900, B-1150, B-1300, B-1500 or B-1650. Several electrical options. NSF, UL, - air cooled models are ENERGY STAR certified.